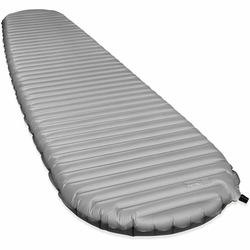 Therm-a-Rest NeoAir XTherm Sleeping Pad. The XTherm air mattress delivers the greatest warmth-to-weight ratio available in any air mattress by far, with a new, softer, textured no-slip fabric for better next-to-skin comfort and a quieter rest. Multiple , reflective ThermaCapture™ layers give the XTherm air mattress true four-season warmth without the weight or bulk usually found in a winter-worthy mattress. Unmatched Warm-to-Weight: Patent-pending, reflective ThermaCapture™ technology traps radiant heat while Triangular Core Matrix™ construction minimizes convective heat loss–all without the bulk, weight or durability issues of down and synthetic fills.